Now we are open all year! 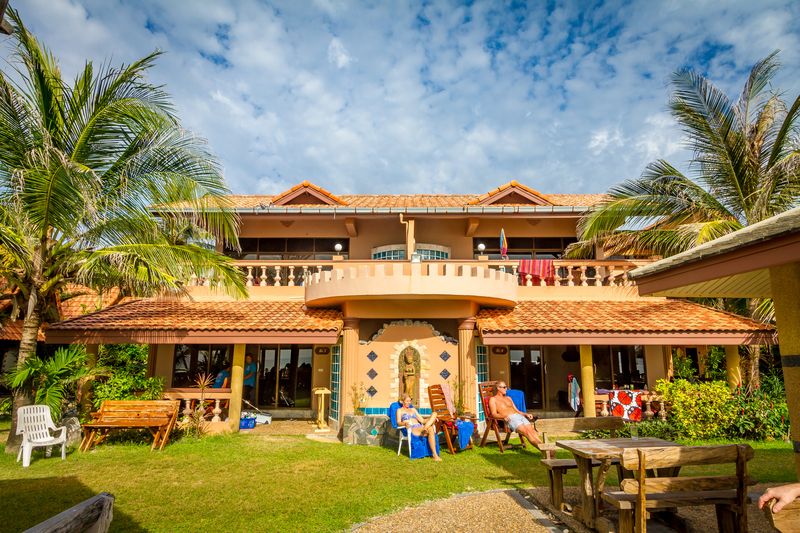 Find out moore about our Beach Family Suite here! 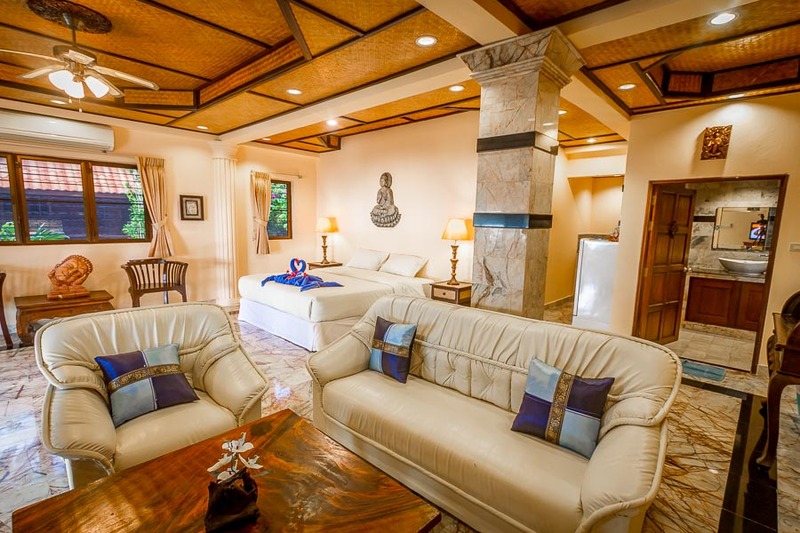 This Ocean Beach Front Family Suite is a spacious 100 sq.m. 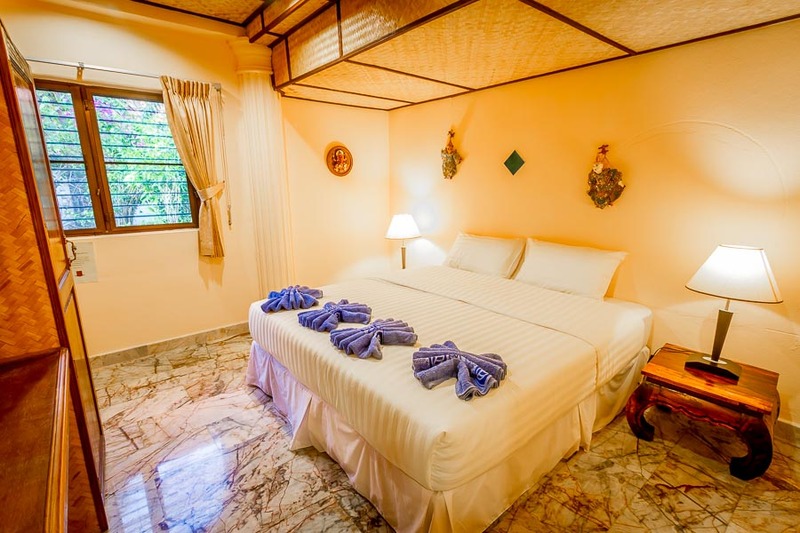 room beautifully furnished and decorated with original Thai style products and arts. Some of these apartment have 2 balconies and all have a separate sleeping room. The big terrace directly faces the white sandy beach, from where you can enjoy the beautiful sunsets while lounging, on sun chairs or relaxing in the sitting corner. When you need to cool down we have a special outside rain shower for your convenience. The living-sleeping room are tastefully decorated with sand stone crafts, and have separate air-condition system and relax corner. The second sleeping room is a private sleeping room with its own cooling system. The suite has a small kitchenette counter, and a fridge. Also a large marble bathroom, with all western facilities in all apartments. From your second balcony you can relax and enjoy the morning sun while overlooking your children playing at the swimming pool area. 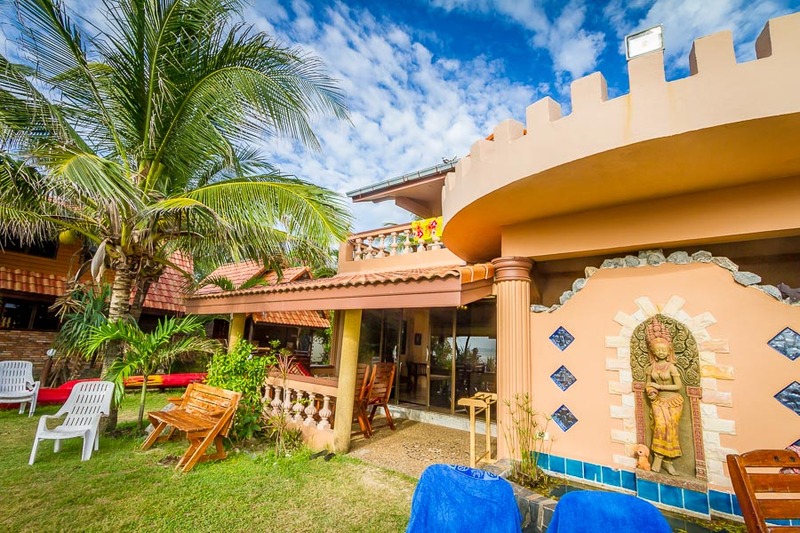 These beautiful rooms represent exceptional value for this price, here at Klong Dao Beach ! !